Spring Cypress Assisted living is a project that consists of a 65,000 square foot assisted living facility located on approximately 5 acres of land at 16305 spring Cypress Road, Cypress, TX. 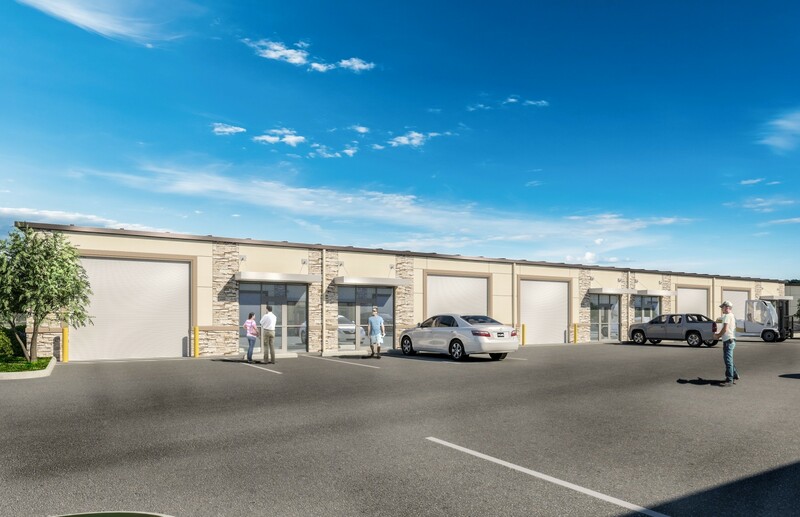 FM 529 Office Warehouses is a 12 acre project on FM 529, Katy, TX where we designed a development consisting of 11 warehouses and approximately 48,000 square feet of retail space. 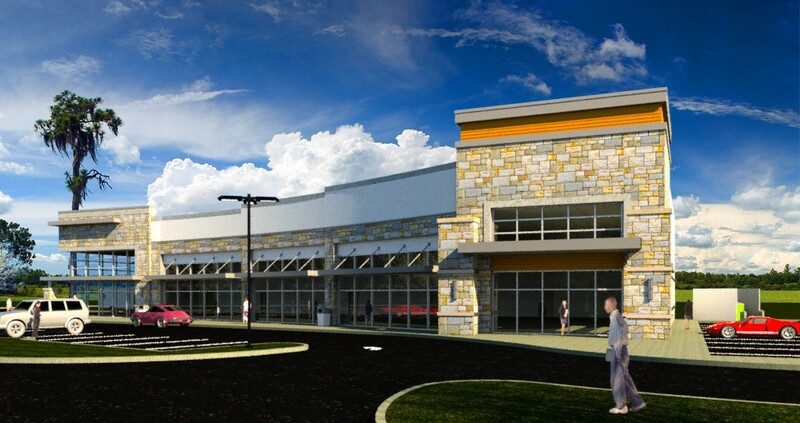 RSG Engineering completed the architectural, structural, MEP, and civil design on this project. Multiple organizations’ approvals were required to receive the permit and initiate the construction on this project. Including, Harris County, TXDoT and Harris County MUD 157. RSG’s engineering team performed all the civil engineering services associated with developing a 14 acres vacant land into a school site serving 1400 students. The project required the team to coordinate between different jurisdictions and organizations to complete the project within a very strict time frame. Kuykendahl Retail Center is a project consisting of a dental clinic, a restaurant along with retail space. 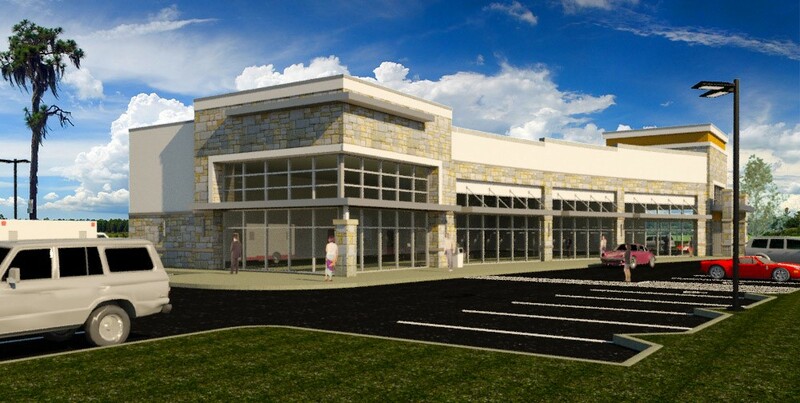 This building will be located on a tract that lies southwest of the intersection of Kuykendahl and Springbrook Garden Lane, Spring Texas. RSG Engineering is currently working on multiple similar projects including clinics, dialysis centers and other medical developments. Katy Sports Center is a project which consists of developing a 12.2 acre property located west of Porter Road, between Morton Ranch and Franz Road into a sposts center consisting of 4 outdoor soccer fields, and approximately 62,000 square feet of indoor soccer space along with the required amenities. Louetta Crossfit Gym is a project that consists of a 5,000 square foot cross-fit gym building and a 3,500 square foot dance school building located on a 2.055 acre property. The property is located at 11551 Louetta Road, Houston, Texas. San Antonio commercial complex is a project that consists of converting 14 acres of land located at the North West corner of the intersection of Loop 410 and Valley Hi Drive into a multi-use complex including a Hotel, a medical building, and approximately 65,000 square feet of retail space. Just like every other project, this one comes with its interesting challenges. One of the challenging tasks is rerouting a drainage creek that collects storm water from three different watersheds and currently runs across the property. Our departments and group of Engineers are working as one team to complete this project on time and exceed our Client’s expectations. 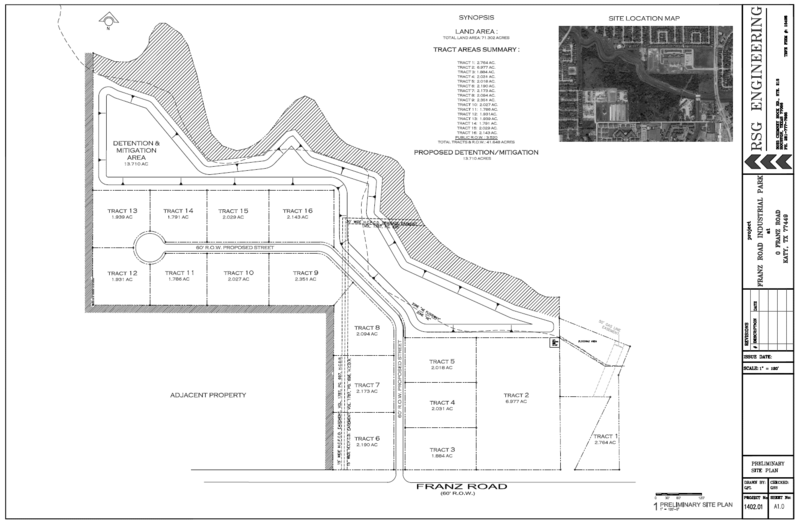 Franz Road Industrial Park is a project located on a 70 acres tract west of the intersection of Fry Road and Franz Road. The property is located in flood zone AE with approximately 3 feet of depth under the base flood elevation. The project will generate 15 lots totaling approximately 38 acres of area elevated entirely above the flood plain, along with a public road, and a 12 acre regional detention and mitigation pond. Utilities are available for this development through Municipal Utility District 17 (MUD 17) facilities, which are located North of South Mayde Creek, therefore a public lift station is being designed to transfer the waste water through an aerial force main across the Creek. Multiple government organizations approvals were required to receive a permit and initiate the construction on this project including Harris County, City of Houston, FEMA, and MUD #17 making this project more interesting to our group of Engineers. Pro-Vision School project is part of a 45 acres overall future development; the current phase consists of a new high school and gym building, a new football stadium along with the required parking and a detention basin covering the overall 45 acres. RSG Engineering is performing and responsible for all the Civil Engineering related work on this project, including the interface with the developer, general contractor, City of Houston and Harris County Flood Control personnel. Little York warehouses is a project that was completed by the end of 2015 and consisted of converting 3.7 acres of vacant land located at 18703 W. Little York Road, Katy, TX into 5 office warehouse buildings totaling 60,000 square feet of warehouse space. Multiple organizations’ approvals were required to receive the permit and initiate the construction on this project. RSG assisted the client throughout the process and ensured that the project was completed in a cost and time efficient manner. Lyondellbasell Bayport plant expansion is is an addition of approximately 40,000 square feet of buildings in total on a 7 acre piece of land. This project required RSG Engineering personnel to coordinate and work closely with the operator’s engineering team and project manager along with the contractor to successfully complete this project. Lyondellbasell Channel View plant expansion is an addition of approximately 40 acres of plant improvements to the LyondellBasell Channel View campus. The Elrod Data Center Project consists of developing a 21 acre tract of land at 2212 Elrod Rd, Katy, Texas into a large data center system. The rain water that falls on this tract gets collected in a system of three ponds and gets used as part of a cooling mechanism for the 102 hardware containers that form the Data Center. RSG Engineering was responsible for the design of the site layout, ponds, drainage system, utilities and paving on this tract. 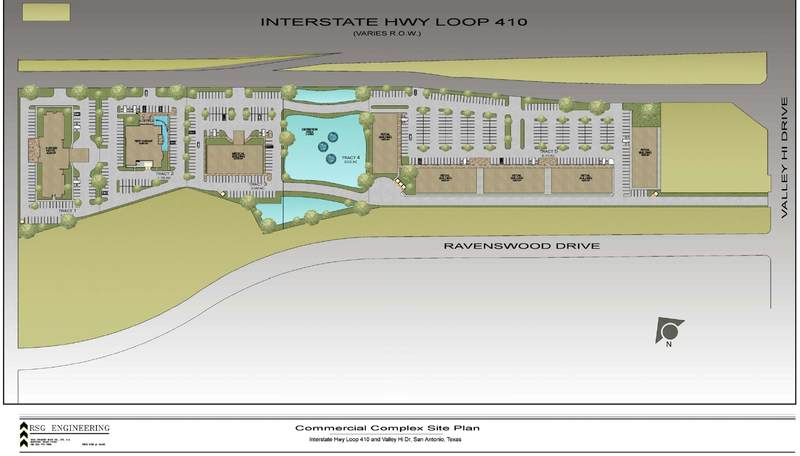 402 Julie Rivers Office Building is a development project that consists of converting 1.1 acres of vacant land located in Sugarland, Texas into an office building development. 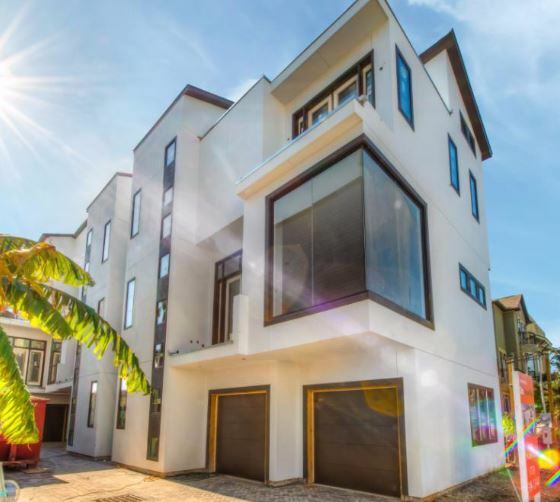 RSG Engineering was responsible for the preparation and design of architectural, structural, MEP, and civil engineering construction documents for this project. This project consisted of generating and permitting a Traffic Impact Analysis associated with two streets connecting N. 23rd street and Sens Road. These roads serve and pass through a 60 acres light industrial development in La Porte, Texas. This project consisted of generating and permitting a Traffic Impact Analysis for a 1400 student Charter school located northwest of the intersection of Franz Road and Porter Road. This project consisted of generating and permitting a Traffic Impact Analysis for an assisted living facility in Cypress, TX. 3901 Griggs Townhomes is a project that consists of (10) 2,150 square foot townhomes located at 3901 Griggs Rd, Houston, TX 77021. 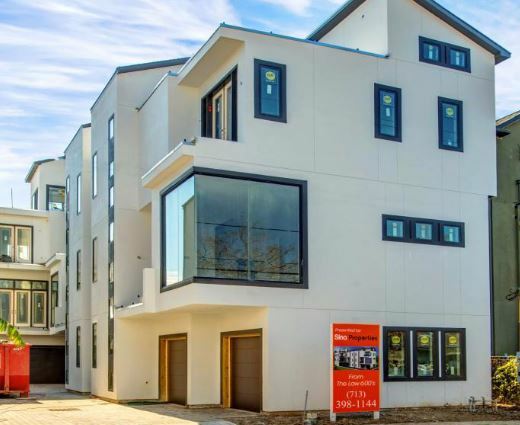 2302 Cleburne Townhomes is a 22 townhome development on a 37,000 square foot property located at 2302 Cleburne St., Houston, TX 77004. RSG Engineering platted this property and completed the architectural, structural, and civil engineering design. Every project is a priority. Consistency and continuous improvement define the culture at RSG Engineering.